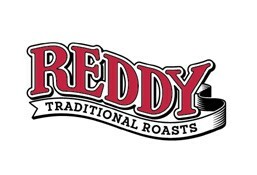 Reddy Roast is currently closed for delivery and it will open at . Horseradish sauce with roast potatoes, yorkshire pudding, vegetables, sage & onion stuffing. With roast potatoes, yorkshire pudding, vegetables, sage & onion stuffing. With gem lettuce, crispy beef bacon, garlic croutons, poached egg & caesar dressing. Mixed greens, shaved zucchini, cucumber, avocado, carrots, sesame seeds, balsamic dressing. With cherry tomatoes, red raddish, feta cheese, pomegranate, almond flakes & lemon dressing. Roast potatoes, vegetables, sage & onion, stuffing & homemade gravy. Crispy balls, yorkshire puddin, roast potatoes, vegetables and vegetable gravy with roast potatoes, sage & onion stuffing. Mint sauce with roast potatoes, yorkshire pudding, vegetables sage & onion stuffing. Lamb roast with roast potato, seasonal vegetables & gravy. Beef roast with roast potato, seasonal vegetables & gravy. Chicken roast with roast potato, seasonal vegetables & gravy.